I don't want to point anyone out specifically and the comments are rarely aimed at me personally but I have to say this site seems to have some (not all) exceptionally rude moderators, Maybe it's just a couple and the rude posts stick out more than the regular posts to me, but reading through a thread today I almost deleted this site from my favorites because I saw a moderator go off on someone discussing something they didn't think was relevant. Personally I thought it was completely relevant and I'm sure many others do to. I think it would help if the moderators were reminded this is a site ultimately about building with bricks. Not everything is going to fit into one and only one topic. Even this site puts modulars (which are under the Creator theme in the LEGO Universe) into the City and Town discussion on this site.Not everything is going to fit into a nice little box. And price is relevant to the discussion- to any discussion. LEGO might make the most awesome set in the word but if it's priced at $25,000 and only 1% of the population can buy it, that deserves some discussion. I'm giving this site another chance, I hope some mods will lighten up on the users. Sorry if I offended non-rude moderators, this was not aimed at you. Well, that's the web you know. (that's my theory) But I suppose they don't 'mean' to be rude. although I've seen a lot of topics with these 'events' But like how they say: DEAL WITH IT . But to be serious, it also annoys me in some occasions. Moderators somehow feel like annoying to me in many occasions (might be some, I can't remember all those guys) and a 'normal' person is really breaking the rules if even only saying one thing or mentioning some rule and a moderator gets angry, I swear I HATE those type of people. like I mentioned I hope no one will be offended by my comment because I only wan't to tell you guys what I think about it. I think we need to remember that we have people (moderators too) from all over the world. What may be rude in one country is "just the way it's done" in another country (not rude). I believe we need to be more tolerant of each other (remembering country differences). Some people are just "matter of fact" while others are more sensitive. Some folks in a rush to get said what they want to say may not think before they press the "post" button. Many times, things in print sound much more harsh than they do in person... This is because you cannot tell a person's real feelings in print the way you can when you hear a voice or see an expression. Also how harsh things may sound can depend on our own state of mind when we read things... If I've had a bad day, things may sound more harsh, if i've had a good day, things may not sound so harsh. All that said, I know that sometimes in a rush, I may not consider all these things, I try, but I sometimes fail. If we all try to be nice to one another, we all have more fun! Maybe take it up with the moderators in question directly? I think EB staff should be as nice a possible all the time. There could maybe be occasions when there's a history of repeating issues with a certain member and a moderator might lose it's temper since they are only human. But still, in an ideal world (and an ideal Eurobricks) a moderator should never lose it's temper and always remain patient with members who make mistakes (but when there are possibly bad intentions then it is another thing). I'm speaking in general and don't know the specific events that Therize and BirdOPrey5 are referring to. Feel free to drop me a PM with links to those cases and I'd be happy to look into them. I mean, I've seen some instances like where a mod called an entire thread a bunch of idiots, but they're mostly doing it because it's their job to keep people civil and not have a ton of people fighting and stuff. I don't use the site because of the moderators, I just read it and I cant believe how the moderators behave. People just let it go because they don't want to get trouble, its total BS. Why do I get the feeling this is what you are talking about. Do not post pictures from dealer catalogs, you will be banned from the site. Final warning. No BS. You don't use this site because you were banned from it for your behavior. And now this "SSS" account is a new one so let's have a private chat...again. So, I don't want to discourage any of the discussion that was going on in here. The member who commented above was banned as it was a secondary account from a previously banned member. He was not banned just for speaking against the staff here. You can discuss whatever you want here and I do encourage anyone who has a problem with the staff to take it up directly with us if you feel comfortable doing that. If not, feel free to post about it here and get feedback from other members. Thanks for being part of this site and making it what it is. We know we wouldn't be here without all of you. Thanks for keeping this open. The only time I have seen MOD's being direct with members is 1: Spam 2: Trolls 3: Leaked Pictures (which is a no-no in almost all Lego websites). Seeing that, I think that actually makes this community better, since it is a lot more civil than the crap going on in other fan communities. In short, keep it up! I joined here based on that same reason; I thought this place was more organized than other places… but things changed throughout the years, and especially after an unfortunate encounter with one moderator. In one thread, there was this member who kept creatively insulting everyone who’d disagree with him, and he was very rude to another member who built something he thought was below his standards. It kept going on for months and there were no public correction from any moderator to that member. Later on, I made a small comment about that lack of intervention and suddenly the moderator of the thread was all over me. It was so weird, I mean, I understand that people can be rude, and insults on the internet is nothing an all that, but it was the moderators sudden attack on me and his total lack of correction to that other member that baffled me! The guy who insulted everyone in public never got corrected in public, and the guy who made a small comment about staff performance got spanked in public immediately. 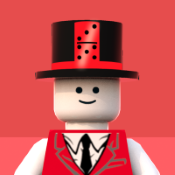 I tried to reason with that moderator but it only made him speak more harshly and embarrass me more, so I withdrew fearing I’d get into trouble… fearing… I never thought I’d get this feeling on a LEGO related site. I mean is it OK for moderators to threaten to send people to “the chamber?” Is that an appropriate term to use? What “chamber” is that supposed to be? I can only think of one, and it would be a tragedy if that moderator meant what I think he meant. I kept apologizing but then I realized I didn’t do anything wrong to apologize for, and that I was doing this just to avoid being humiliated or shunned, which felt so ridiculous. And of course the moderator never answered my apology, as if he just felt good he yelled and that people got scared. This moderator’s very strange behavior got me thinking for a while that such prejudice towards me specifically was because of my nationality (our countries and possibly religions are not getting along very well in real life). It felt strange that such exaggeratedly dark thoughts could be evoked by a mere discussion of toys! I never thought these things would follow me here. I’m trying to convince myself I was over reacting, because of the political unrest we’re going through here, but my feeling towards this place have changed for sure. And that’s mainly because a moderator is free to yell at members like they’re his subordinates, or treat them like children under the banner of keeping the place organized. I prefer a less organized place than one I feel discriminated against in, or treated like a child, or be scared to question someone with high authority fearing I’d be shunned or embarrassed. We have to deal with these things in real life… we shouldn’t have to deal with them on a LEGO site… I suppose. The chamber is a sub–forum where we discuss issues with members. Sometimes they end up banned after that discussion but most of the time they are re–instated to the site. We use a sub–forum as opposed to PM so that the entire staff can have oversight on how the member is being treated and so the member has a break from interacting with other members. The "chamber" is named so since when you're in the group "Taking a Break" it is the only forum you can see. You can still see the whole site if you log out and view it as a guest but you can't post anywhere else. We changed the name after people complained about the tag "Bad Kids" which only gave members access to the "Torture Chamber". That's a little too PC–Police in my opinion but there you have it. We find it works really well and it's much better than straight out banning members with no discussion or no second opportunities. I'm not sure what else someone might imagine from a digital "chamber" but whatever it is, it's not that, it's what I described above. Most of our interactions in there are "We've tried to warn you about your bad grammar and topic bumping but you don't seem to notice, please read the Site Guidelines (which we then post for them) and acknowledge you understand our expectations and we'll let you back out. Thank you." And sometimes things are more intense but not too often. At least, not in my opinion. Lind: the thread is “future LOTR” but I’m sure it must have died by now. Hinkley: thanks for your explanation, I understand what “chamber” means to you, but to adults being treated like children it can be very insulting. Also, when things get a shady political tone, the term “chamber” becomes uglier than you might casually think, as ugly as certain detention camps. For some people it’s just TV stuff, for others it’s real life fear, and it’s not very nice to be reminded with such things when one comes here to escape such grim reality. It’s about the context and the way the moderator directs his threats, not the term or what it really means to those who whimsically created it for fun. And like I said, that moderator’s prejudice made my thoughts drift, perhaps a little too much than it should, towards political reasons, given the nature of relations between our countries. Got it. That makes...a lot more sense. From a historical context, "sending someone to the chamber"...well, it evokes a rather different sort of chamber. Honestly, I'd vote for switching the tag back to "Bad Kids," and referring to it specifically as the "Torture Chamber" - it'd avoid future mistakes between the two types of chambers. Hinkley: thanks for your explanation, I understand what “chamber” means to you, but to adults being treated like children it can be very insulting. Just out of my own experience, I've never seen any of the moderators treat adult-behaving members like they were children. Although I have - and, at times, have probably behaved as one myself - seen many members act like children - although the moderators in those cases still treat them with full politeness. And like I said, that moderator’s prejudice made my thoughts drift, perhaps a little too much than it should, towards political reasons, given the nature of relations between our countries. Good for you for addressing this issue! Not knowing the history between you and the moderator, but I doubt your countries have anything to do with it. To me at least I can't see which country you come from. Your name alone doesn't imply anything. You could be living in the US or UK for all I know. So yeah, I think, probably understandably, that you are seeing a bit more into it than there is. Your comment about "sending you to the chamber" is another matter though. Coming from a moderator it most certainly couldn't mean what you think it could mean, and what I thought it could mean when I read your comment. But just the fact that this comment can be interpreted as, let's be blunt, "gas chamber", might be reason to reconsider the name used. It's up to you...but you could just change your name to something generically LEGO-themed. Excuse me?! What does his user name have to do with it? And how is his name "political"? Lind: I agree completely, except I never thought I had to hide my name to achieve that state of “play” or to be accepted in a certain group. It would be a shame if one had to hide his name to avoid prejudice. 6ix: a moderator can know which country I’m from very easily, and I have an Arab name, and the moderator is from the US, so the conflict is clear if you watch the news. I’m sure he didn’t mean anything too bad, but the situation made me feel so uncomfortable it evoked such negative thoughts for a short moment and ruined my experience here. I was talking about the attitude not the actual meaning behind it. He said that he was feeling like a moderator was "prejudiced" against him. As you said, there is nothing on his account to indicate where he lives. I was suggesting that if he wanted to cut down on even more possible causes of "prejudice," he could change his username to one that's just generically LEGO-themed, and in no way suggests ethnicity, race, or lineage. Right. If there is real prejudice by a member or a mod then that would be totally uncalled for and also the problem of that member, not Khaled. That member then needs to (learn) to change his views, not Khaled change his name. But if, and I guess that is what you mean, Khaled feels he is being treated differently because of his user name, but this happens basically only in his own head, he could change his name so he can feel assured that he is not treated differently just because of his name. I don't know which of the above holds true for him, but I hope it gets resolved and he can enjoy the forum once more. I was not commenting on "whether it was in his head or not". he could change his name so he can feel assured that he is not treated differently just because of his name. To me this doesn't matter, though. If his name is Khaled Yousef, he should be able to call himself that, without fear of being ridiculed or singled out because of his name. PS: Khaled, sorry for speaking on your behalve. Khaled, I have no idea of your exact political stance, your exact country, or your exact lineage. Neither do I care. If you're a friendly person, and you behave like a friendly person, that is far and beyond enough for me, and should be far and enough for most anyone. If you're a friendly person, and you behave like a friendly person, that is far and beyond enough for me, and should be far and enough for most anyone.